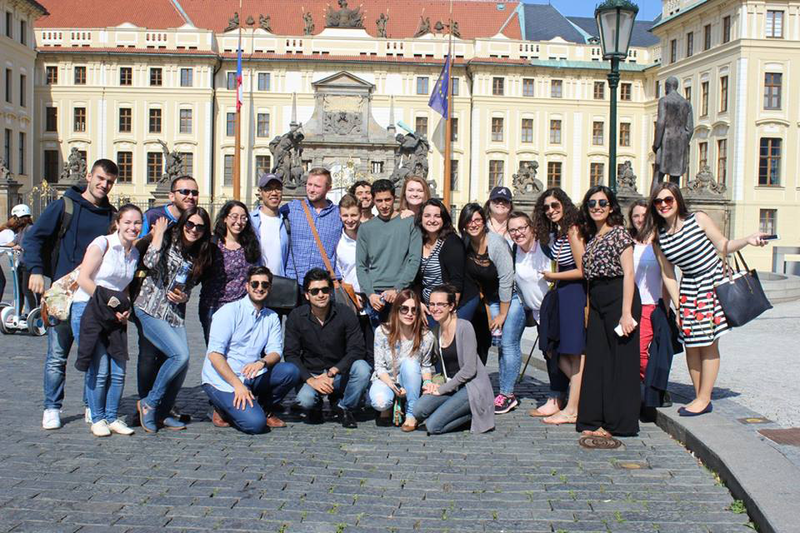 The European Journalism Institute (EJI) offers an opportunity for outstanding student and professional journalists to learn about journalism and public policy issues with hands-on experience in Prague, Czech Republic. Are you a professional or student journalist looking to boost your career and expand your horizons? Do you want to discuss complex contemporary issues in a diverse academic setting? Are you eager to visit Prague, one of the most beautiful cities in Europe? If you answered ‘yes’ to any of these questions, the European Journalism Institute (EJI) is the program for you. EJI provides a rigorous academic experience, fosters dialogues that cross borders and creates a global network of responsible future leaders. EJI brings together journalism students and working journalists from a variety of professional backgrounds in Prague, Czech Republic. Participants from North America, Europe and Central Asia will explore fundamental issues related to journalism ethics, religious reporting, conflict reporting and business reporting. The diverse nationalities, religions and ethnicities represented at EJI gives participants the chance to interact, learn and share their experiences in ways that will benefit their educational and professional development. EJI will be held at Charles University, the oldest public university in the Czech Republic founded in 1347. Charles University and The Fund for American Studies have partnered together since 1993. Our comprehensive package includes housing, at least two meals per day, a variety of notable professors, guest lectures, cultural and social events and opportunities for professional development and networking. Participants who complete EJI will graduate into a global network of nearly 17,000 TFAS alumni. You can find TFAS alumni living and working in some of the world’s most exciting cities, including Washington D.C., New York, London, Paris, Beirut, Hong Kong, Beijing, Buenos Aires and Santiago, to name just a few. Graduates of our institutes can access this vast alumni network to open doors that lead to life-changing opportunities around the world. Join us this summer for this once-in-a-lifetime opportunity to study in the beautiful, historical European capital of Prague, Czech Republic! The Fund for American Studies (TFAS) and The Media Project (TMP) began partnering together in 2017 to revitalize the European Journalism Institute (EJI). EJI 2018 will mark our second year in this endeavor. The Fund for American Studies (TFAS) is a nonprofit, higher-education organization based in Washington, D.C. TFAS organizes seven summer and two semester programs for students in Washington, D.C. In 1993, TFAS expanded internationally and has organized six international programs, beginning with American Institute on Political and Economic Systems (AIPES) in Prague, Czech Republic. TFAS has educated more than 16,000 participants since it was founded in 1967. The Media Project (TMP) challenges and equips mainstream journalists, editors, journalism educators and analysts in all facets of media to cover religion as an essential part of public life in all corners of the world. The Media Project is the only network of its kind run by journalists for journalists worldwide.